I recently attended a lecture where the discussion was about the recent rise in cancer rates associated with the grave state of environmental pollution. Consequently more and more people were turning to health food products to strengthen their bodies. If we do get cancer, what really helps? Surgery is damaging and invasive, chemotherapy is toxic. A cancer cell growing to the size of an egg could take 10 to 15 years to develop! “Don’t worry, just look after your body” they said. “Everybody knows that health food products are protective and strengthening, are a means of preventing illness and can be used for treating certain diseases”, however, if a person gets cancer how can you not let them receive standard medical treatment immediately? The patients biggest concern is living another day. Having an objective place to evaluate these products as a viable treatment option will ensure that patients are receiving the greatest benefit, which of course is the most basic objective of the physician. Since coming to Vancouver over 8 years ago, I’ve had the opportunity to see more and more cancer patients. I would like to take this opportunity to share a little of my experience. Is there a secret formula that can effectively treat cancer? Can this ‘secret’ formula be used in conjunction with chemotherapy, radiation and surgery? In Beijing, due to the integrated use of Western and Chinese Medicine in the treatment of cancer, the opportunity to see cancer patients is quite high for the Chinese medical physician. The majority of patients coming to see me here in Vancouver are not without their suspicions. The major reason for this, is that most patient’s oncologists are unaware of, or unclear on the benefits of Chinese Medicine, and do not allow them to take Chinese herbs, stating that they would not be responsible for treatment outcomes. When specialists say this to their patients very sternly, it instills a greater sense of fear in an already anxious and worried person. There are some patients who will come and see me with great hope. They’ll say, “Dr Tian, can you use your secret formula to treat me?” To a suspicious patient I might say, “The best method of treating cancer is using an integrated approach, which depends on your personal decision, as it is you alone that must grasp the end of your life”. To patients looking for a secret formula I would say that determining treatment based on pattern identification is the secret formula. You must not focus on the cancer but on your life. I remember in Beijing doing clinical rounds with my mentor Dr.Sun Gui Zhi, and noticing that there was never anything really special about the herbal formulas she used. I wondered how could these uncomplicated formulas be extending the lives of all these late stage cancer patients? This one time I was unable to hold back any longer, so I asked. Dr. Sun said treating cancer is a lengthy battle. “You must always strengthen the right Qi. Beat it by focusing on living, and then how can it grab you? You see that although many of my patients are in late stages of cancer their quality of lives are good. The trick is to find the relative strength between the right Qi and the pathogenic factors. Grasping this well will ensure that the effectiveness of treatment will be greater and greater. Being unable to grasp this concept will only result in loss”. So I try to learn these words by heart and put in great effort to truly grasp them. I really have some great patients. There are two aspects to these patients. The first being the treatment results and the second being their desire to grasp onto their lives. I have this one patient with breast cancer that has metastasized to the lung. She is in a very advanced stage. She is doing chemotherapy, taking Chinese herbs and taking various health food products. Every time I see her I can’t believe my eyes. She looks beautiful and lustrous. I always say to her that I can’t believe she is in an advanced stage, and she says that everybody always says that. Even the nurse that was administering her injection had to ask if she was a patient, giving her more and more faith that she can beat cancer. “If things continue this way I could travel, cook delicious food for my family and make myself up even more beautiful. I’m so happy, I’m great”. From the bottom of my heart I truly admired her courage. I remember those days when she had just discovered that her cancer had spread to her lungs and she came to see me. She felt as if she would collapse, as her doctor told her she wouldn’t live longer than 6 months. I remember telling her that she must go on living. Treatments are being discovered and changing daily. She must keep on living! Immediately I made her a Chinese herbal formula to course and rectify Liver Qi, because in Chinese Medicine it is said that the Liver channel passes through the breasts, in addition, coursing and rectifying Liver Qi has the effect of calming the spirit and increasing immune function to directly resist cancer. She was very obedient. She drank her herbs and was very relaxed. To date, 3 years have passed and she is doing great. How could I not be ecstatic? In addition I would like to mention her husband. He was always so calm and so supportive. I really believe that family support is one of the most important aspects of effective cancer treatment. Here I have an opposite case. Once while working at the Guang An Men hospital in Beijing in the oncology department, I was responsible for an elderly man with late stage liver cancer. Although he had jaundice and ascites, with his integrative therapy, his spirit and body were kept strong. He was able to look after himself. But this one day his son came to the hospital and didn’t know what was wrong with his father and ended up quarrelling with him. The next day I went to see this man and the nurse told me that he had already passed away. Although his chart said that he had died from liver cancer, we all believed that he died from a loss of hope and the will to live. Here I had also seen a late stage cancer patient who was taking Chinese herbs with good effect, but her son said to me that the oncologist said she could not be saved and that we should give up. It is a major blow when the family begins to give up. At that point what’s the use of having a doctor? To this date I can’t forget the look of doubt in that woman’s sons’ eyes. I thought to myself what if I was to say that your mother was in late stage cancer and there was no hope, you would not think I am a liar. However, I can’t say this, the reason being experience. Another day while doing a night shift in the oncology department, a patient had suddenly started to crash. He had late stage prostate cancer that had already spread to the bones and brain. He was sweating profusely and his blood pressure was dropping. His wife said to give up as he was in severe pain, but she was unwilling to sign a do not resuscitate form. We had no choice but to rescue him. We immediately administered a Ginseng and Aconite injection. The sweating stopped and his blood pressure returned to normal. The next morning during rounds we saw the patient who was unable to speak hold up both his hands to offer us thanks. I left the ward with tears in my eyes. His wife as well as all of us doctors didn’t expect that he had so much hope and reluctance to leave his life. From then on I knew that I would never tell a patient there is no hope. The breast cancer patient mentioned above did not receive any additional treatments after conventional treatments. Two years later the cancer had returned and metastasized to the lungs. I have another patient that while undertaking chemotherapy took Chinese herbs and to date there has been no relapse or metastasis. The following is her case history. Female, 50 years old. In April 2004 she underwent a full mastectomy and in May began chemotherapy. Immediately following her first chemotherapy treatment she experienced a dry mouth and throat, which were worse at night. Concurrently she experienced hair loss, her tongue was dull-dark and her pulse was wiry. The pattern identification was damage to both Qi and Yin and blood-humor insufficiency. 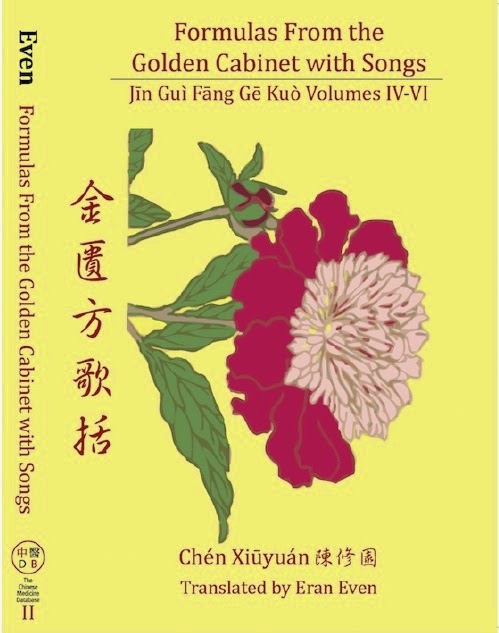 The formula administered contained: Yu Zhu, Sha Shen, Mai Dong, Gou Qi Zi, Fu Ling, Bai Zhu, Bai Shao, Chen Pi. After taking 5 days worth of the formula, the dryness in her mouth and throat had improved significantly, however the hair loss was still present. In June she undertook her second round of chemotherapy treatments. Once again she experienced dryness of her throat, with difficulty swallowing and extreme fatigue. She experienced very little desire to eat, her tongue body was swollen and pale and the tongue coating was thick and white. The pattern identification was major damage to the central Qi and internal generation of phlegm turbidity. Chinese Medicine holds that the Spleen and Stomach are the source for the generation and transformation of Qi and Blood. It is of upmost importance that cancer patients avoid damaging their Spleen and Stomach. It was urgent to strengthen her Spleen, boost Qi as well as enrich and nourish true Yin with: Mu Xiang, Sha Ren, Chen Pi, Fa Xia, Tai Zi Shen, Fu Ling, Huang Jing and Bai Shao. After taking this formula, her appetite increased, her energy had substantially improved, but the dryness in her throat was still present. The patient had the sensation of a hard substance obstructing her throat. The plan was to administer a formula to rectify Qi and transform phlegm combined with food therapy suitable to this patient with: Autumn pears, lotus root, milk, fresh ginger root and chives blended into juice. She was to drink one cup a day. After drinking this preparation the dryness in her throat was gone and her appetite had improved even more. In July the patient underwent her third round of chemotherapy. Due to toxic nature of the chemo drugs the patient experienced side effects of frequent belching, a decrease in energy, nausea, a bland-tasteless feeling in the mouth and tightness in her throat, all intensifying at night. Her tongue was pale and tender, the coating thick and slimy and her pulse was wiry and slippery especially on the right chi position. Her white blood cell count had dropped to 0.8. This is a very dangerous situation signaling a very vacuous or deficient right Qi and exuberance of pathogenic factors. I gave her three packages of one of my own formulations named ‘Chemotherapy Blood increasing decoction’. After taking this formula her white blood cell count increased to 4.5, and she was able to smoothly finish her round of chemo. On a recent follow up with this patient, there has been no relapse of the cancer and she is living a normal life. This is very informative and hopeful post. Have you ever treated Head and Neck cancer patients who have damaged salivary glands from radiation treatment? I saw that one of your patients suffered from dry mouth and throat. My understanding is that radiation to the head and neck burns the salivary glands and the part that creates the watery saliva die off leaving only a pasty thick substance. In your experience would you know if there's a way to treat such a case? Thank you. @ Anonymous, In this particular case I was simply just the translator. In my own private practice I do not usually treat cancer and will refer out to colleagues that do. If you are local and are looking for a practitioner adept at treating cancer, then you can contact me offline at info[at]eraneven.com and I can send you some names.